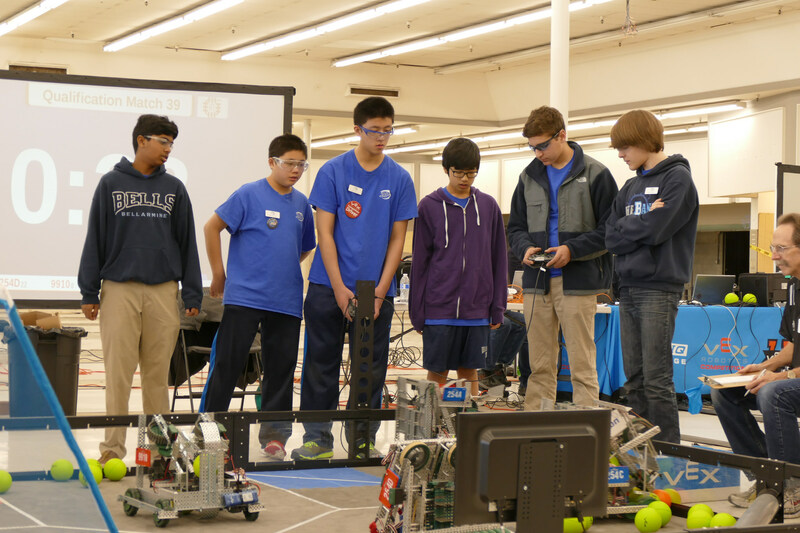 Yesterday, Team 254 for had the opportunity to compete in the Willow Glen Plaza VRC Tournament. VEX Teams 254A, 254B, 254C, 254D, 254E, & 254H had the opportunity to compete against 18 other VEX teams from around the area. Overall, all 254 VEX teams performed very well. By the end of the qualification matches, 254C was ranked 1st, and 254B was ranked 2nd. 254E and 254A also performed very well, ranking 6th and 9th, respectively. All 254 teams made it into the elimination matches, with the first seed alliance consisting of 254C, 254B, and 254F. Unfortunately 254D’s alliance was eliminated during the quarterfinals, and 254C, 254B, & 254F lost to 254A’s alliance during semifinals. 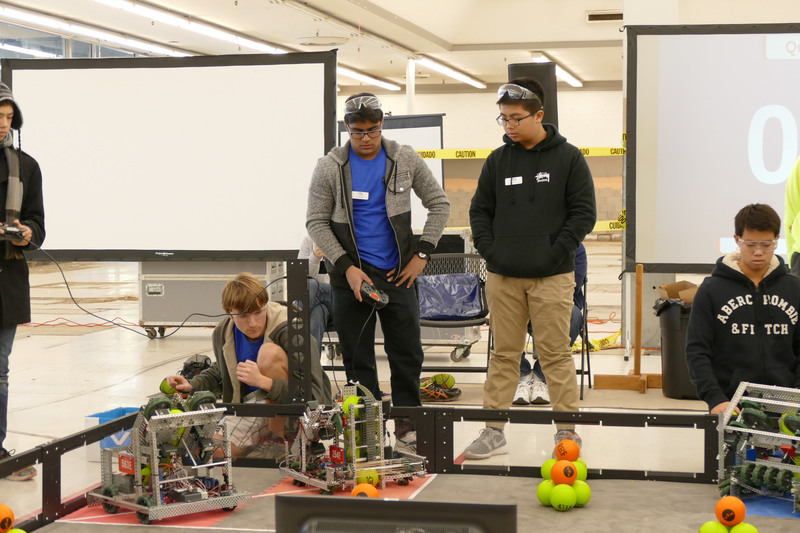 During the finals matches, teams 563F, 254A, & 256B went head to head with 563, 254E, & 6734B. After four exciting matches, 563F, 254A, & 256B won, due to a last minute strategy change that led to the 254E accidentally entering their opponent’s loading zone, which led to a disqualification. 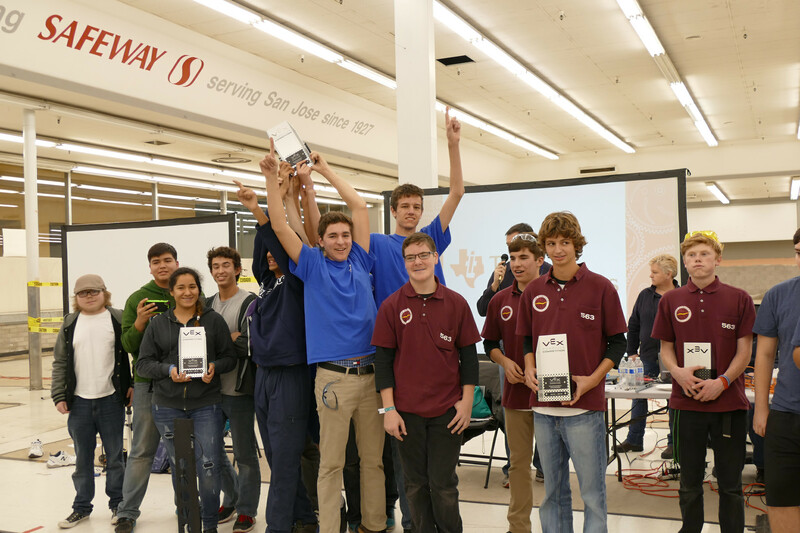 Additionally, 254C also won the Excellence Award, and ranked first in robot skills at the tournament.